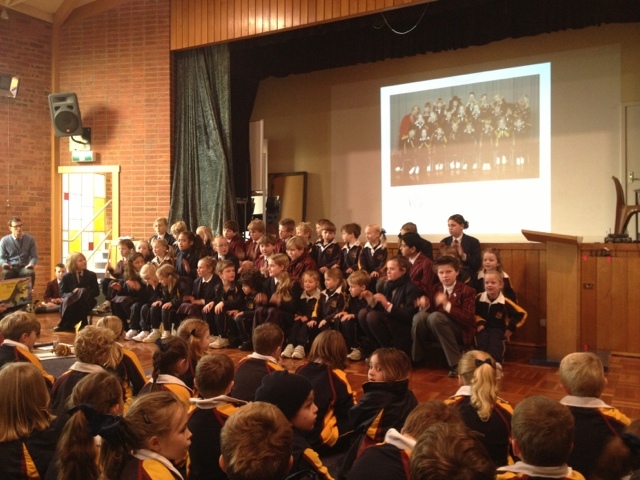 Yesterday George's class lead the junior assembly. It was adorable! He did a great job when he had to talk, and also 'co-hosted' a video they played during the assembly. 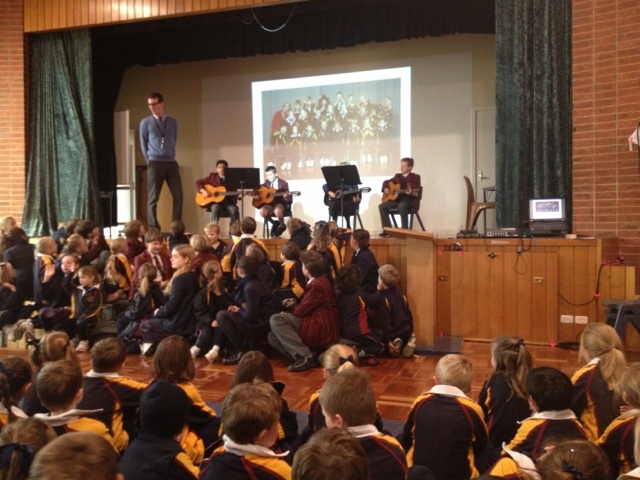 The class also sang some lovely songs and it was nice to see him join in with such enthusiasm. It was also really nice to see all kids who have been in George's class for the past 3 years get up and speak, as I remember them as timid little 3 year olds on the first day - and it seems only yesterday!! The presentation was all about 'what makes a community' which is what the class has been learning about this term. They had their (year 4??) buddies with them, and 4 of the buddies played a guitar piece. It was lovely, though punctuated by Arthur's solo - lets just say he was a VERY vocal supporter of the performance!! 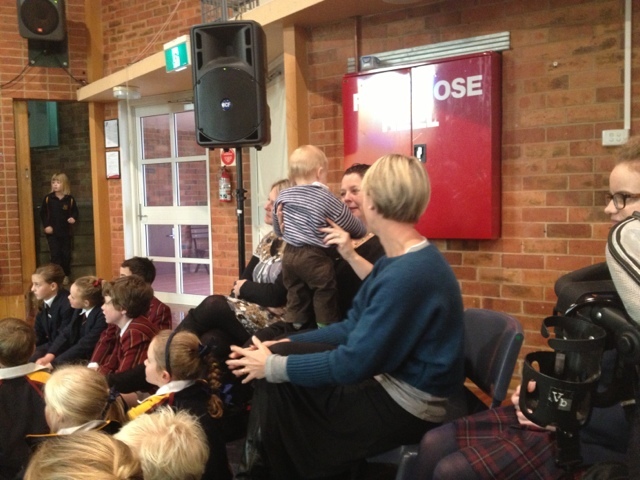 Luckily there was a line up of clucky teachers ready to pass him around and dance with him. The first few pics are from the assembly. Today was miserable! The cloud and drizzle didn't lift ALL DAY. UGHH. Just the day to take the a bunch of prep kids on an excursion. Arthur and I tagged along for the ride. 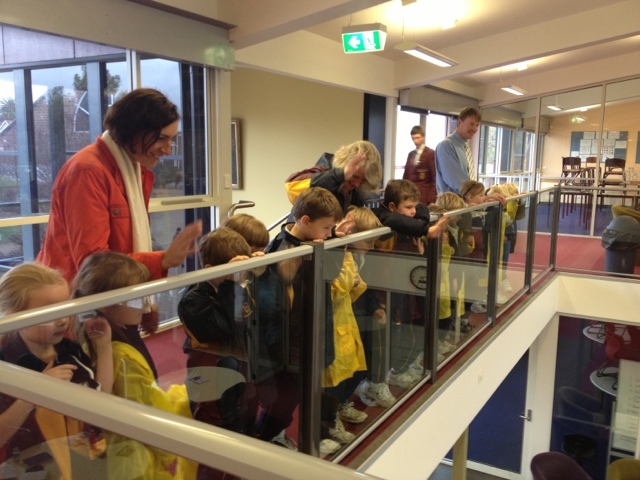 We went to the senior school - part of learning about their community. 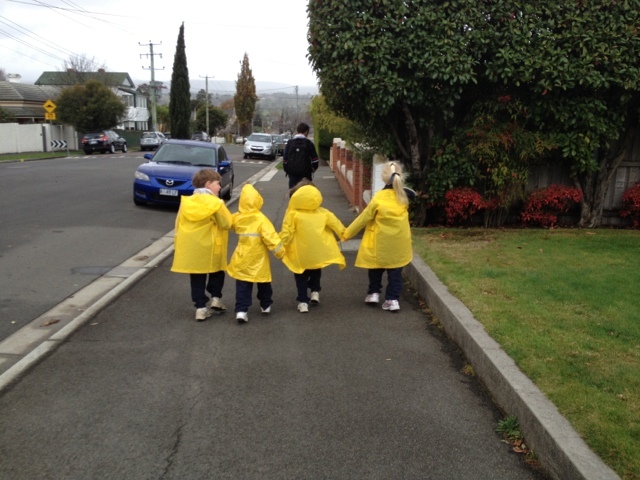 The new Principal showed them around and he was so lovely with the little preppies. And what a lively bunch he had to talk to! Mr Muller commented on how many questions George had for him ( which is good-he added). George promptly asked him if he rode a rocket to school!!! There are a couple of pics from today. The last pic is of the Boden clan who escorted us home in the rain. Too cute! !